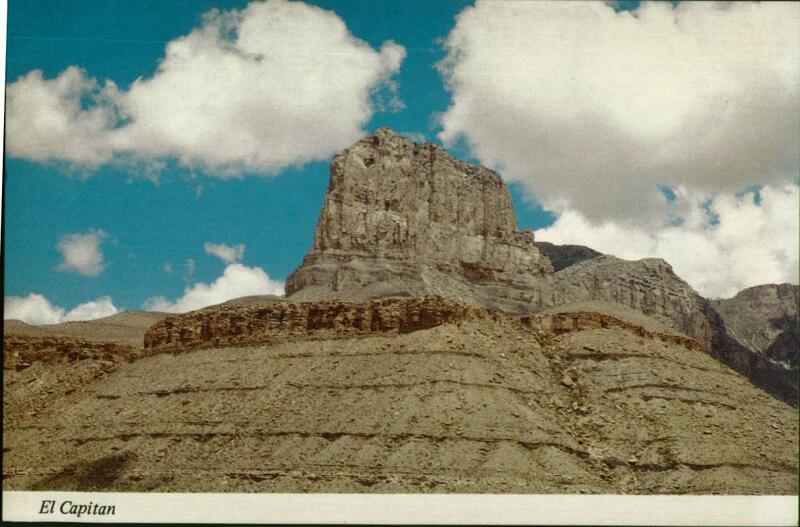 On the way to Carlsbad Caverns from Deming today, we saw the fantastic formation looming above the desert. 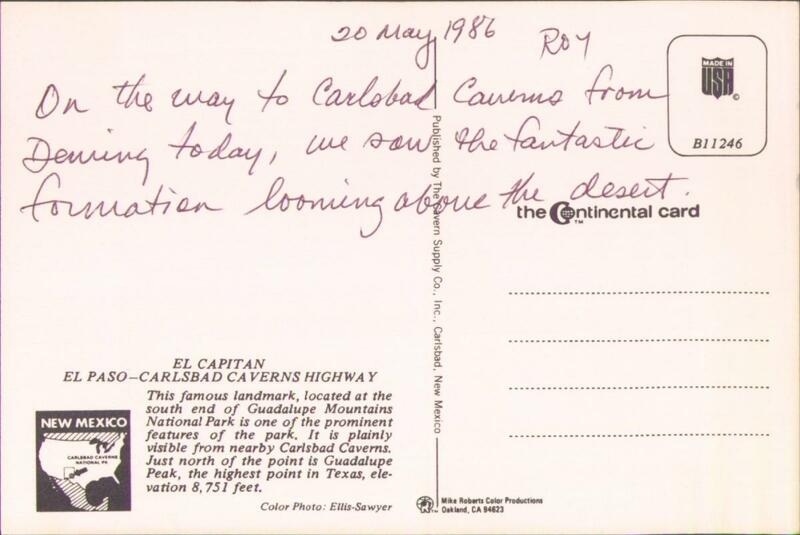 I was going to type in the copy on the back of the postcard because El Capitan is a really cool formation, but the text on the back is boring and only talks about things that are not El Capitan. It's almost worthy of interest just for that, but I don't want to type it up.